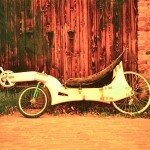 There has been a second recumbent bike. Its mainframe existed of two windsurfing mast of which the tip was glued onto the rear dropouts and they came together in the cranck axle. 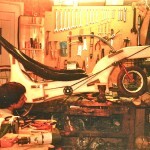 in between the head tube was glued to hold the front fork and the chair was attached to the mast tubes. 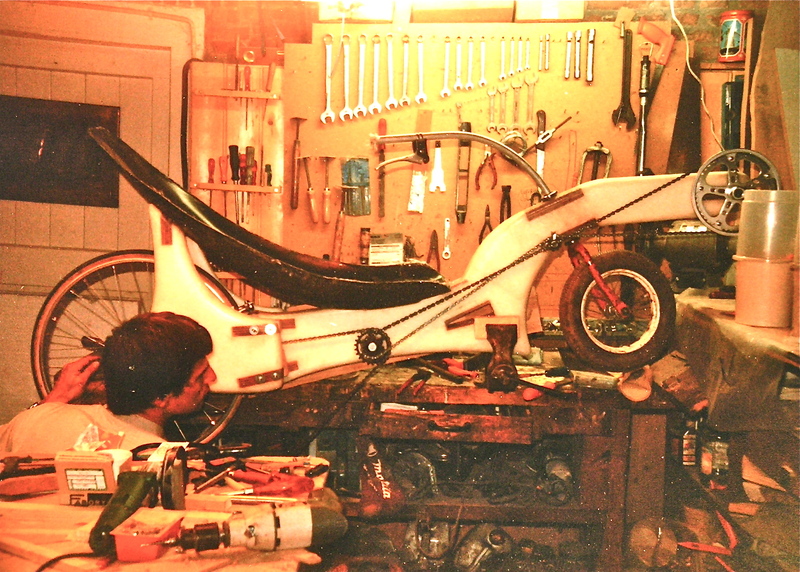 This frame was so flexible that later on carbon studs were added to support the chair on the rear axle. 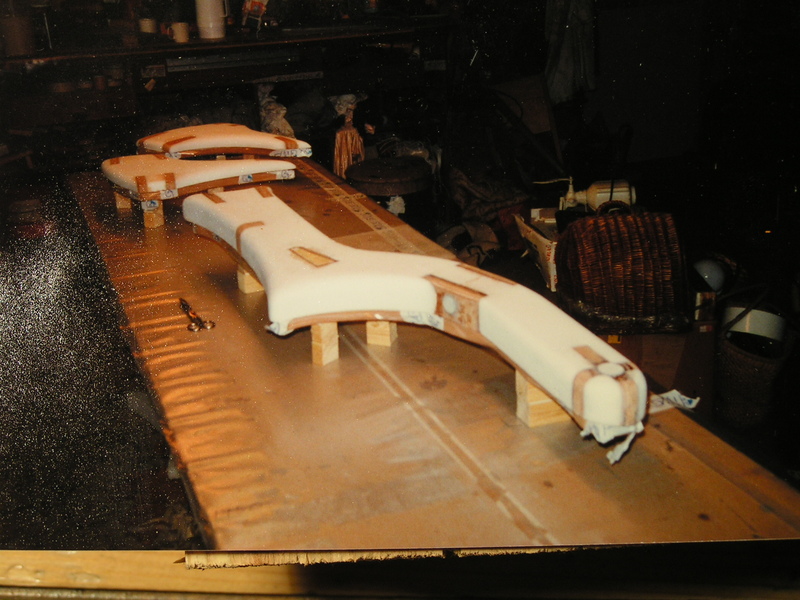 Unfortunately there are no pictures left of this prototype. 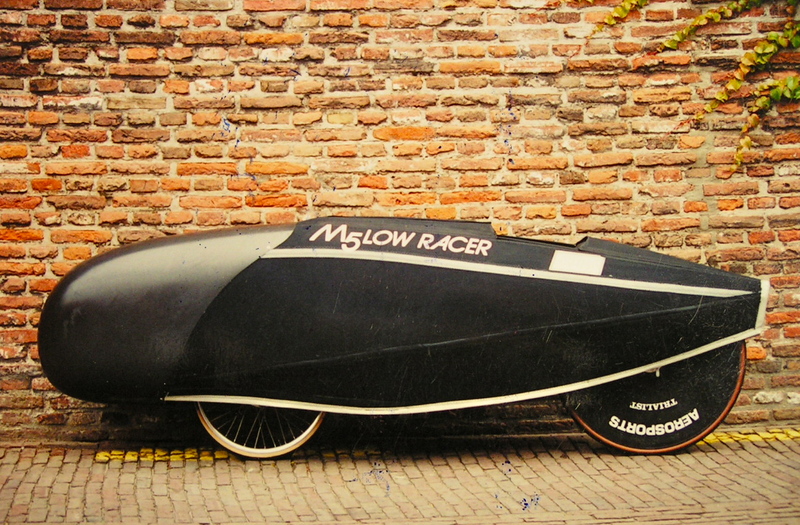 Bram Moens – M5 recumbents made trikes and 3 wheeled velomobiles in his early years around 1980-1984. After Bram helped Derk with his first two wheeled recumbent Bram also started to experiment with 2 wheeled recumbent bikes. 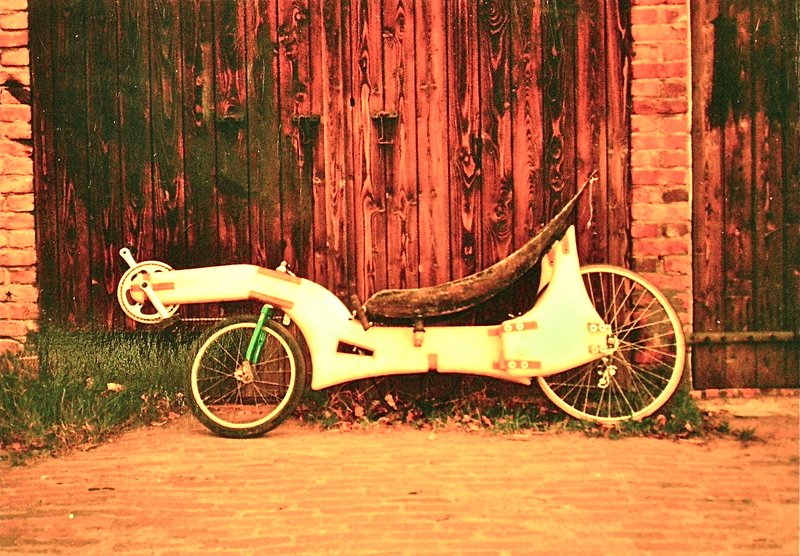 Within a few years Bram’s recumbents performed so well that he stopped building trikes. Derk helped Bram with his fairing and carbon work; here in the old sail locker from Derk for a nice closure of the fairing. 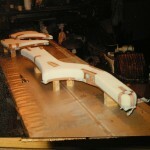 This was a very practical and fast solution, a carbon front part and a rubber/cloth sewed piece behind. 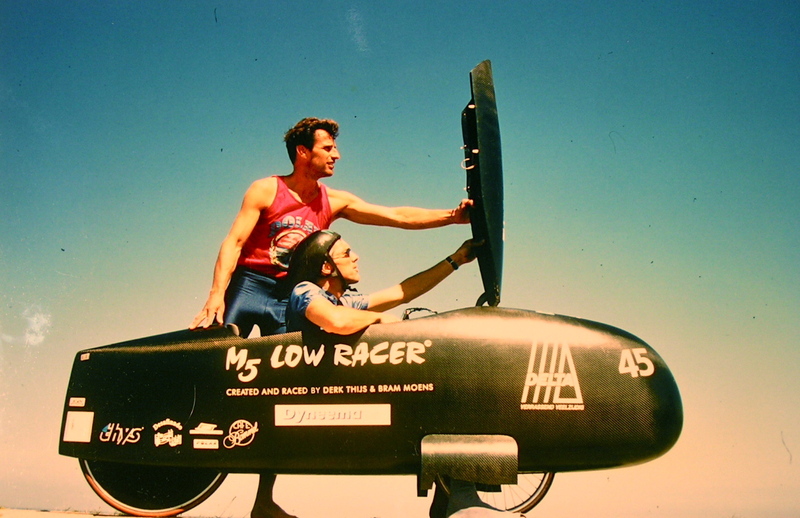 This was a very fast fairing that unfortunately never lived up to its world record potential. 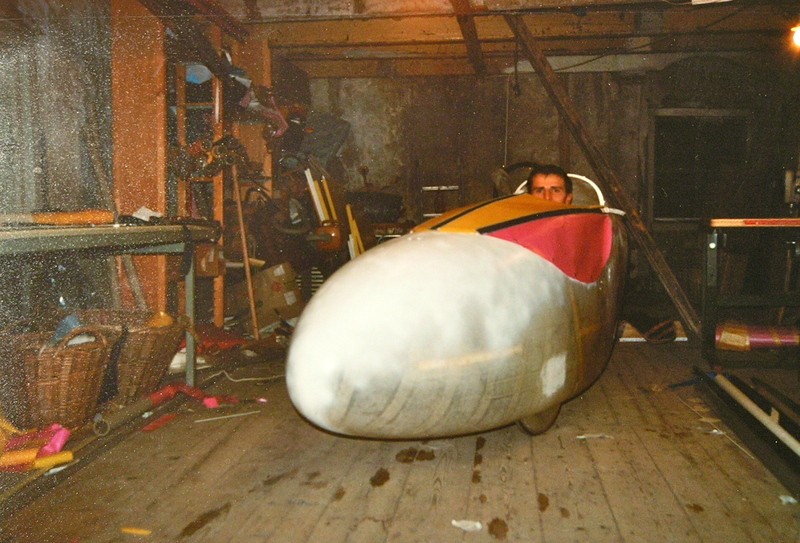 Bram Moens did win the 1997 Trondheim Oslo (540 km) race in Norway with this fairing. 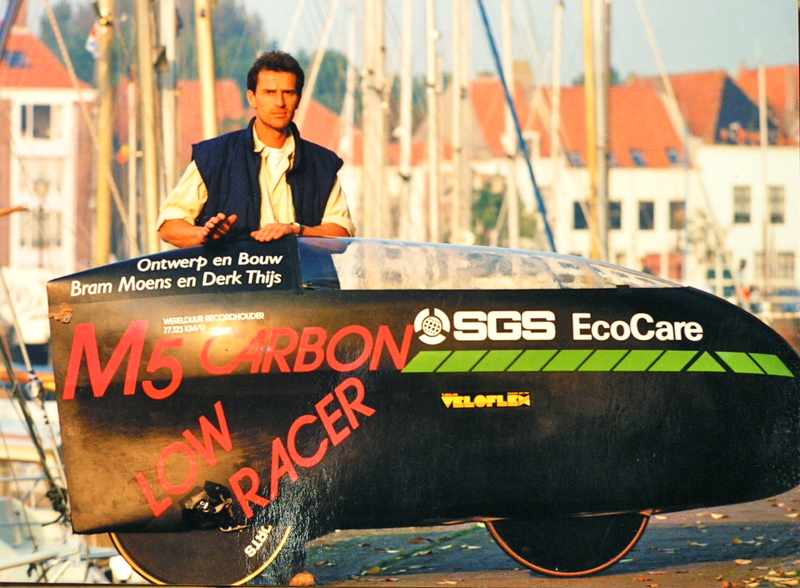 It resulted in the ban of recumbent bikes in this race as Bram finished two hours sooner than the professional racingbike riders.